Over 30 years ago, when my husband served as an ordained clergyman and we were poor church mice he came home bearing this boxed set of 5 vinyl albums. 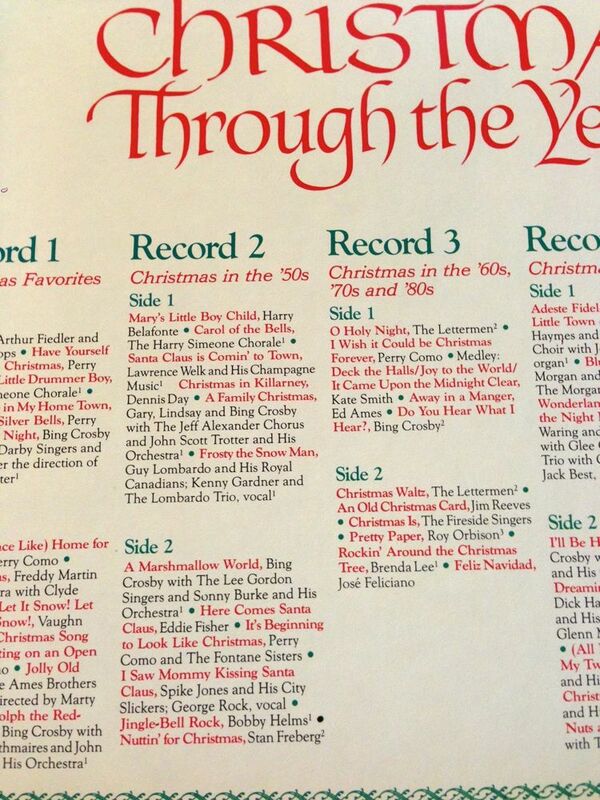 Christmas Through The Years was the quintessential Reader’s Digest compendium of seasonal music. One of his parishioners gifted it to us. I guess they were downsizing and wanted to get rid of them. We stil have a turntable and I love to spin these lovelies. Especially Record 2, Christmas in the ’50s. I must be a sucker for Harry Belfonte, Perry Como, Bing Crosby and Guy Lombardo. Sure beats some of the distasteful music they come up with for Christmas now. I still think about old Art Skinner, the man who gave us these albums so long ago in Ottawa. Good music is such a balm to the soul. 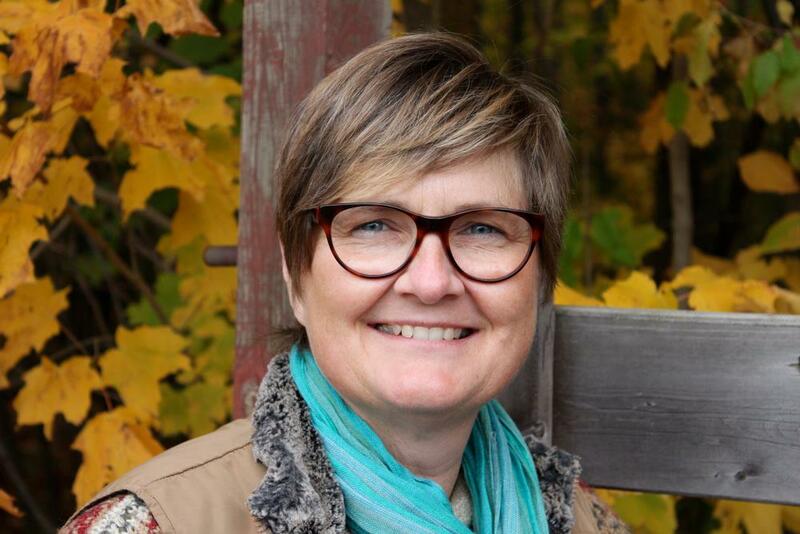 This entry was posted in Music and tagged Christmas, music on December 23, 2014 by nurturingspace. 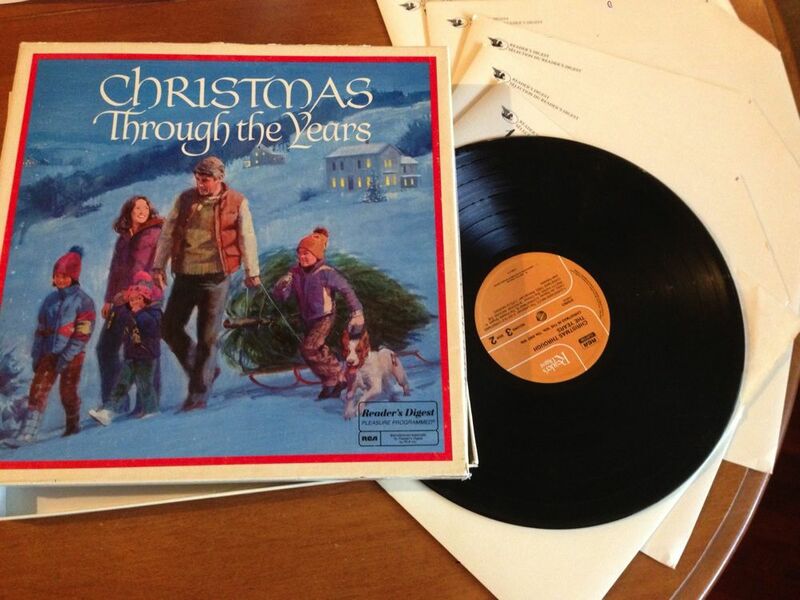 Love those old Christmas songs…and there’s nothing like hearing them on vinyl.